This is assessment 3 of 3. Aged care workers use a person-centred approach to provide physical and emotional support to their clients. 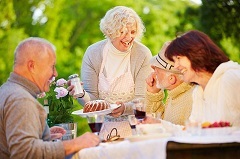 They provide care in an aged care facility, or perhaps in the client’s own home. The support tasks vary with each client and may range from assisting with activities of daily living, equipment and aids, to providing social and emotional support. In this assessment you will demonstrate your knowledge relating to the underpinning theories regarding modern aged care, as well as your ability to determine and respond to an individual’s physical personal support needs and to support activities of daily living. The questions in this assessment outline case studies and scenarios that you are likely to come across as you work in the aged care industry. Some of the questions have multiple parts to the questions, so please make sure you answer all the parts of the questions and pay attention to the word count indicators (where provided). 1. Answer the following questions - A, B, and C – relating to person-centred care. Type your answers in the boxes provided. Be careful to note the number of words required (indicated in brackets at the end of each question). 2. Complete the table below by first filling in the sections about how a person may be affected by each of the different illnesses or conditions. Next, identify how a support worker could encourage and assist the older person to engage actively in all living activities and to seek assistance when needed. Two points in each box are sufficient. 3. Aged care no longer focuses on the weaknesses, but on the strengths of what a client can do and the choices they make. Many clients, as they age, give up on life and expect care workers to do everything for them. This is often due to a recognition of their weaknesses, however, modern methods, with an emphasis on a client’s strengths, promote individualism and empowerment. This latest industry approach is person-centred care. Below is a list of some current underpinning approaches in the aged care sector. Give an explanation/definition of each, and an example of how you can empower the client for each. Write just one sentence in each section of the table. 4. For each of the pieces of equipment listed below, state how they might assist a person with mobility issues to maintain their independence, and how the equipment reduces risk of injury or accident for the client. How can it assist a person to maintain their independence? How this piece of equipment reduces risk of injury or accident. What it is typically used for. How you look after it to keep it well maintained. Some standard procedures for its use. How do you look after it to keep it well maintained? What are some standard procedures for its use? How you would avoid/reduce the risk by naming a strategy or a tool that can assist in the reduction of the hazard (preventative strategy). How you would respond to the risk should it occur (reactive strategy). The first one has been completed for you as an example. Name a strategy or a tool to assist in avoiding or reducing this hazard. Imagine the client has had an accident due to the particular hazard. How should you respond within your scope of practice? Poor lighting in the bathroom. Put up a sign. Fill in a hazard report incident. Report issue to maintenance officer. Ensure the hazard is logged in the maintenance logbook. Notify a supervisor. Discuss hazard with client. 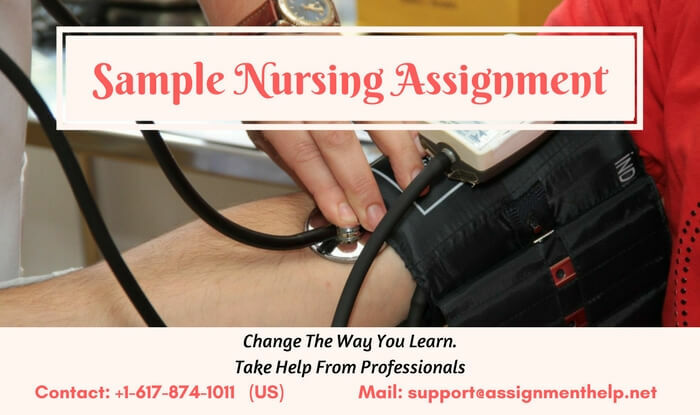 Get a RN to come and assess the client. Follow policy and procedure of the organisation. A bathroom that has an uneven surface. Client with poor skin integrity, who bruises easily. Client with dementia who does not understand verbal instructions from staff. When a person might access each service. When might a person access each service? How does the service benefit the older person and / or their carer? 8. Outline in the table how a support worker would provide support to a client with these tasks. Give examples when you might seek the assistance of your supervisor. How would you provide support to a client in this task? Say when you might ask for help from your supervisor. 9. Read each of the scenarios below, and determine whether or not the clients’ individual needs have been met, in terms of their diversity in culture, spirituality, and sexuality. Briefly say why the clients’ needs were, or were not, met. Two female clients want to share a bed. They are told that the double beds are reserved for married couples only. The Muslim man wants to pray at set times of the day, as per his religious custom. It is difficult for the staff to find a quiet place for him, so they tell him it’s not prayer time when in fact it is. The woman from Iran cries a lot. She does not speak English, so staff do not know why she is crying. The staff find an interpreter to ask her what is wrong. The Jewish man cannot leave the facility due to ill health. He wishes to speak with others from his own religion. Staff tell him to join the Christian group in the facility. This is assessment 2 of 4. 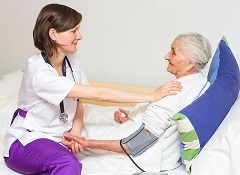 In order to work in the aged care sector as a care support worker, you will need knowledge of your own legal and ethical responsibilities, and in order to do this you will have a grasp of the different legal and ethical considerations and situations you may encounter, as well as the frameworks that encompass these considerations in the aged care sector. This assessment consists of seven (7) parts. A: Imagine you are working as an aged care support worker for an individual who receives support in their home. You spend a lot of time at the house and have developed great rapport with the whole family; they treat you like part of the family. On one occasion, the family try to give you a gift. What is the ethical dilemma presented in this scenario? If you are unsure of the scope and nature of your own ethical responsibilities and work role, what should you do? If you want to access some information about how to handle an ethical situation such as this, what can you do? Identify an appropriate person to discuss this issue with. What would be an unethical way to respond to this issue or dilemma? If you become aware of unethical conduct, who should you report it to? what is the potential conflict of interest? List and describe what your professional boundaries are within this situation? As a care support worker in aged care and home and community, your clients may be elderly or you may be called upon to provide care support for younger people with a disability. You will also be working with people from diverse cultures and ethnicities, and you will undoubtedly come across some beliefs or behaviours that are different to yours. Ji-yoon is a university student who has multiple sclerosis. Her parents believe students should study very hard, for many hours a day. As Ji-yoon’s support worker, you see a potential difficulty with this as after so much study, Ji-yoon has no time for the activities in her support plan. You wish to suggest that on top of her study hours, she does only one more hour of homework per day. A: There are two competing value systems in this scenario: the family value academia very highly and place this at the top of Ji-yoon’s agenda; as her support worker, you value her individual plan and the associated activities, such as her engagement in physiotherapy and speech therapy. A: Complete the table below regarding workplace policies and procedures. Identify two (2) reasons is it essential to accurately record and document any ethical or legal issues. Identify two (2) reasons you must follow workplace policies and protocols concerning your legal and ethical responsibilities. Identify two (2) ways you can clarify your workplace policy framework if you are unsure of it. Identify two (2) reasons workplaces have mandatory reporting. Identify two (2) ways you can clarify your own responsibilities and limitations within your work role-boundaries. Identify two (2) ways workplace policies, procedures and protocols may be developed. Identify two (2) ways or process by which workplace policies, procedures and protocols can be reviewed. Identify two (2) reasons you should participate in continuing professional development in your workplace. B: As an aged care support worker, it is vital that you understand some key terminology, or jargon, related to working legally and ethically in your industry. C: In your own words, define each of the terms in the table, and briefly describe what these terms mean and how it may be applied. A: Leaving a group of people with high support needs alone for two hours is an example of a breach of duty of care, and since it comes under the umbrella of negligence, it is a legal issue. Describe two (2) examples of a potential or actual beach of duty of care that would be a legal issue. If a breach of duty of care occurs, who should you report it to? Why is it essential to follow workplace policies and procedures with regards to legal requirements? Think about your work role. B: Complete the table regarding some legal considerations in your work role. Who could you talk to? If you need to access and interpret some information regarding the legal requirements that apply to your work role. If you want to clarify your own legal rights, responsibilities and limitations. If you want to know more about specific legislation in your work area. If you need better knowledge of industrial relations legislation relevant to your work role. C: Research relevant laws pertaining to the anti-discrimination of an aged person. Complete the table. A: There are many differences between legal and ethical frameworks, and this can often be seen in the consequences of illegal and unethical actions. Does this have a legal consequence? If yes, briefly identify what. Does this have an ethical consequence? A company refuses to hire a person due to their age. A complaint made about CareShore (the aged care facility), is ignored by management. B: For the next table, complete the legal and ethical consequences for each situation and also include what action you would take. A care support worker shares confidential information about a client. An individual receiving support makes a negative remark towards another support worker. The client reported that another aged care support worker took a biscuit from the cupboard without asking. where can you look for information? why is it important for you to know the human rights frameworks and approaches used in your workplace? A: As a care support worker, you must uphold the rights of individuals you provide support for, but also remember that you too have rights that need to be upheld. Rights are usually governed by laws. You are also obliged to meet your responsibilities (your duties) to the people you support, but don’t forget that the individuals you work with, their families and/or carers, also have a responsibility towards you. Imagine you are working for CareShore, providing support to an aged person in their home. Complete the table regarding the rights and responsibilities of both you as the aged care support worker, the individual as the person receiving support, and CareShore as the employer. An example of each has been done for you. The right to work in a clean environment. Responsible for treating the support worker with respect. The right to make informed decisions about the support and services being received. Ensure workers have adequate instruction, training and information to work in a safe and healthy manner. The right to ask questions to ascertain whether someone can adequately perform the job. B: Older people and people with a disability who receive support have the right to complain if they feel their rights have been breached, or they are not receiving the care they want. Imagine that Ji-yoon’s university has suggested she attend another university, as they don’t feel they can adequately support her needs in a mainstream environment. Ji-yoon’s parents ask you for your help to complain about this. Outline six (6) steps you can take to help Ji-yoon’s family understand their rights, and start a complaint process. Take into consideration their communication and language needs. Dylan is an aged care support worker and is new to his role. He is currently assisting Malcolm with his morning routine. Dylan enters Malcolm’s room and open the curtains. He walks into the bathroom and turns on the shower. Dylan then goes over to the bed to wake Malcolm up; he does this by taking back the doona and saying ‘good morning’. Dylan tells Malcolm he is going to help him shower and goes to get the chair to assist Malcolm to the bathroom. Dylan sees that the shower is very hot, and lifts Malcolm into the shower. It turns out that the shower is scalding and Malcolm suffers some burns. A: Identify and briefly explain at least three (3) ways Dylan can improve his work practices. Say whether each is related to Dylan’s legal or ethical responsibilities. Identify three (3) actions Dylan has taken that could be improved upon. Is this action related to Dylan’s legal or ethical responsibilities? B: Feedback on workplace practices is vital to ensuring you are providing the best care possible, meeting your legal and ethical requirements, and contributing to improving your workplace. Complete the table about improving work practices and procedures by providing feedback to colleagues and supervisors. Why is proactively sharing feedback, and voicing improvements with colleagues and supervisors an important part of your role as an aged care support worker? Would you need to report any of Dylan’s actions to your supervisor? If yes or no, please explain your reasons why? C: When you work in the aged care support industry, you will need to do a number of things to ensure you are working to the correct standards and that your knowledge is accurate and up-to-date. Who can you talk to about doing this? When might be an appropriate time to do this? Is there any documentation you think you would be helpful? Contributng to the review and development of your workplace practices, policies and protocols. Seeking feedback and advice on what skills and knowledge you need to develop. Taking action or opportunities, to develop the skills. This is assessment 3 of 4. In determining a person’s care support needs, you need to consider their individual goals, strengths, and rights and apply these in a person-centred approach to their support. You must also ensure you are encouraging self-determination and empowerment. For this assessment you will be following Julie as she assists Emma in her support needs. Use your imagination and do your own research if necessary to assist Emma in achieving her future goals. This assessment consists of three (3) parts. Your written answers should be approximate 50-100 words in length (+/-10%) per question unless otherwise indicated. The word count is a guideline and you can present your answers in narrative or bullet point format. Ensure you acknowledge and cite your sources accordingly – this is important whether you use your own words or another writer’s. You can review the Academic Referencing Guide in your student handbook. Part 1. Determining support needs. A: Read the scenario then answer the questions. Emma is one of Julie’s care clients who currently lives in her own home; she has progressive multiple sclerosis and and uses an electric wheelchair for mobility. It has been a while since Emma’s individualised care plan has been reviewed and updated, and as such, Julie is helping the assessment team in the process of determining Emma’s support needs, with a view to amending her individualised care plan. In supporting Emma, Julie needs to use person-centred practice, strengths-based practice and active support as this provides the foundations of care support work and individualised support. Briefly describe each of these three foundations of care support work and individualised support. B: Read the scenario then answer the questions. Emma is reliant on community supports provided by Careshore to enable her to continue living in her own home, and Julie currently prepares and cooks Emma’s evening meals. Emma used to have a wide social circle, but recently she has noticed that as it is more difficult for her to access the community on her own, so she has fewer opportunities to catch up. She sometimes feels isolated and would like more opportunities to meet others. She was previously a teacher before her disability meant she couldn’t work in a classroom, and she misses working and feeling valued in a professional capacity. Imagine you are Emma’s care support worker, Julie. You need to work in collaboration with Emma to identify actions and activities that support her goals. Identify three (3) goals Emma might have nominated that will promote her independence, and three (3) strategies for achieving each goal. Complete the table. An example has been provided for you. To have more independence in preparing Emma’s own meals. i) Emma to decide what meals she wants for the week and write down the ingredients. ii) Emma to let the support worker know the ingredients. Support worker to purchase ingredients. iii) Emma to prepare food. Support worker to be present but only assisting if Emma asks for help. Who is / are involved in this process? i) Emma needs a recipe book or website to decide what she wants to eat. ii) Emma needs access to a telephone to tell Julie the ingredients she needs. D: Using Emma’s goals from the previous two questions, can you identify any equipment that needs to be gathered or assembled in order for Emma to achieve the goals she has nominated in her individual plan? What equipment needs to be gathered or assembled to help Emma achieve her goals? Are there any established procedures for the use of the equipment? - Electric can and jar openers. - Rocker knives for easier cutting. - A spike board for vegetables and fruit so both hands are free to peel and chop. - Unplug the electric opener when not in use. - Do not use the electric opener with pressurised bottles or cans. Goal 1) To have more independence in preparing Emma’s own meals. F: When Emma is preparing and cooking her own meals, she may injure herself, or fail to prepare the meal correctly. This is, however, her prerogative, and falls under the concept of dignity of risk. Using the goals in Emma’s individualised care plan, identify a dignity of risk consideration that needs to be prepared for. An example has been provided for you. 1) To have more independence in preparing Emma’s own meals. Emma may injure herself, or fail to prepare the meal correctly. H: In determining and delivering Emma’s support needs, there are some vital aspects you must take into consideration as her care support worker. What steps can be taken to do this? You must interpret and clarify your own role in implementing Emma’s individualised care plan. You will need to ask for support for aspects of Emma’s plan that are outside your own scope of knowledge. You must confirm the details of Emma’s plan with her and any family/carers she has. Collaborate with Emma to identify actions and activities that not only support her plan, but promote her independence. Collaborate with Emma to ensure she is making informed choices. Respect and include Emma’s family and/or carers, or her friends, as part of her support team. You will need to seek assistance when it is not possible to provide appropriate support. A: In order to have a working, collaborative relationship with the people for whom you provide aged care support services, you need to talk and work with them in ways that develop and establish trust. How does this develop and establish trust? I should always be open and flexible in how an individual communicates with me. This allows people to feel comfortable to communicate in the best method for them, at any particular moment in time. It will allow people to feel more relaxed in communicating with me. B: Why is it important to do the following when providing aged care support services? Prepare for and follow the individualised care plan. Acknowledge and respect the individual’s preferences. Acknowledge and respect the individual’s strengths. Follow organisational protocols and procedures. A: Briefly describe three (3) ways you can monitor your own work to ensure the standard of support you are providing Emma, or another individual, is maintained. B: In the table below, there are five ways of monitoring Emma’s support activities. Each of these monitoring methods needs to be done in a manner that supports Emma’s self-determination. Outline one (1) way in which each process could happen in a self-determining way for Emma. Involve Emma in discussions about how her support services are meeting her needs. Ensure Emma has opportunities to exercise control over her support services. Involve Emma’s family/carers in discussions about how her support services are meeting her needs. Collaborate with Emma regarding any requirement for change. Talk through any potential changes to Emma’s plan with a supervisor. C: As previously mentioned in Emma’s case, she sometimes feels isolated and would like more opportunities to meet others. Due to frustration with this and her other circumstances, she can sometimes be verbally aggressive. E: When Emma is verbally aggressive, it is likely a sign of her unmet needs. In this scenario, it appears that one of Emma’s needs is human contact, and a lack of this results in her needs being unmet and her feeling isolated. This then manifests as verbal aggression. Signs of unmet needs are often called ‘behaviours of concern. Identify three (3) examples of behviours of concern as a sign of additional or unmet needs, and decide how you would respond (take confidentiality, reporting and service provision into account). F: When monitoring and documenting Emma’s support, you will need to take into consideration the requirements of your workplace, confidentiality, and other workplace protocols. Complete the table below for reporting and documentation considerations. If you are unsure of this aspect of reporting and documenting, what can you do? Comply with your workplace’s formal and informal reporting requirements. Comply with workplace procedures for reporting to a supervisor. Complete and maintain all documents according to your organisation’s policies. Store information according to your organisation’s policies. This is assessment 4 of 4. When you work for an aged care sector organisation, you may encounter some workplace issues when you are required to complete an incident report. In doing so, you must ensure your communication is objective, accurate and concise. You will also need to know how to communicate in the workplace and follow your workplace procedures for any communication. Effective communication is a vital part of succeeding in your work role and you will need a good grasp of verbal and non-verbal communication techniques. There is an appendix at the end of the assessments, you will need to refer to it to complete Part 1, question B and Part 2, question B. You are working at an aged care facility such as CareShore. You are approaching the staff room when you overhear Maria and Kylie, two staff members, arguing loudly. Maria is unhappy with Kylie, as she is always takes long breaks, and expresses her frustration by loudly voicing that Kylie is very irresponsible as an employee. She says that taking such long breaks is breaching her duty of care towards the aged care clients she supports. Kylie storms out of the staff room and as she walks away she shouts that Maria is not her manager and that she does not take any orders from her. After some time, you come across Maria and Kylie engaged in another dispute, and this time they are arguing in front of some CareShore residents and their families. In line with CareShore policy, you are required to complete an incident report and then send that incident report with a covering email to your Supervisor to report the problem and seek help. A. Complete the Incident Report below. You only need to complete the ‘What happened?’ field. Remember to be objective, accurate and concise in your account of events. Were there any witnesses apart from the incident reporter? B. Now you have completed the incident report, you need to email your supervisor according to CareShore’s communication protocols. Look at Appendix 1 at the end of the assessment. Appendix 1 is a document pertaining to CareShore’s communication protocols. Read it carefully, then write an appropriate email (100-200 words) to your supervisor. Make sure you use clear, accurate and objective language when documenting events, and be careful to use industry terminology correctly. C: In this scenario, you identified early signs of potentially complicated or difficult situations, and reported them according the CareShore’s procedures. Briefly explain why it was necessary to do this. (50-100 words). Refer unresolved conflict situations to your Supervisor. Refer issues impacting on employee or client rights and responsibilities to your Supervisor. Firstly, thank you for your email. It’s important that as a team we all look out for each other, and I’m glad to see you are looking out for Maria and Kylie as part of your team. I understand your concerns, and I really value the suggestions you made. I will make arrangements to talk to Maria and Kylie privately so we don’t breach any privacy or confidentiality issues. A chat would be great, so pop by the office when you get a moment and we can discuss more. A: Maria and Kylie are unable to communicate properly. Stop shouting. Talk in a calm and respectful tone. Positive body language, for example, try to not talk with your arms crossed as this sends an angry message. C: If you see Maria and Kylie arguing again, what communication skills could you use to defuse and help resolve the conflict? Briefly describe two (2) methods you could use. D: What role do grammar, speed and pronunciation play in effective verbal communication? What role does this aspect play in effective verbal communication? Bad, or incorrect, >grammar may make it hard for people to understand what is being said. If people speak too slowly, the listener may get frustrated and not listen attentively. If someone has a very strong accent, they may be difficult to understand; the listener will need to show patience and ask for clarification often. walking away when the other is speaking. Identify four (4) more constraints to effective communication and an appropriate communication strategy, method or technique to help resolve the block or barrier. Take a deep breath before speaking; keep your tone neutral and respectful; don’t raise your voice. Communication systems enable the effective and efficient exchange of information. Internal communication: an exchange of information which occurs within the organisation. External communication: an exchange of information which occurs between the organisation and external parties, such as community members, social services, GPs, etc. CareShore has its own cultural communication protocols. The information provided below should be used in accordance with the cultural and communication protocols of CareShore. Generally, respond using the same method as the original communication (eg. if you receive an email, reply by email). Use the CareShore Style Guide for specific presentation guidelines. Use courtesy titles (Mr, Ms, etc) in the inside address of external correspondence. Use the addressee’s first name if the person is well-known to you. Do not use courtesy titles in the close of external correspondence. Do not use courtesy titles in internal correspondence (memos and emails). Letters should close with Yours sincerely if the addressee’s name is shown in the inside address; Yours faithfully if the addressee’s name is not shown in the inside address. Comply with cultural protocols by using correct titles, e.g. Aunty, Uncle, Misses. avoiding male-dominated terms. For example, use ‘chair’ or ‘chairperson’ instead of ‘chairman’. avoiding the use of pronouns such as ‘he’ or ‘she’. Use ‘their’ instead of ‘his’ or ‘her’. The Manager is responsible for all organisational correspondence. The Manager may authorise supervisors to sign standard letters in some circumstances. © Open Colleges Pty Ltd, 2016. All rights reserved. No part of the material protected by this copyright may be reproduced or utilised in any form or by any means, electronic or mechanical, including photocopying, recording, or by any information storage and retrieval system, without permission in writing from the copyright owner.